The dynamic nature of today’s workforce demands advanced technologies that extend communication beyond the physical office. Samsung and HARMAN huddle space solutions revolutionize collaboration through unified audio and visual display solutions that enliven business and maintain a smooth and productive workday – regardless of team member location. 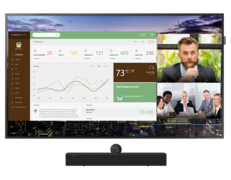 The unparalleled combination of Samsung’s industry-leading visual display technologies and HARMAN’s pioneering audio and video technologies are empowering more efficient collaboration in modern huddle spaces. 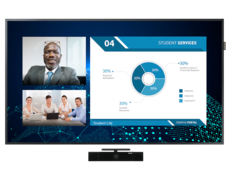 With the Samsung and HARMAN Huddle Space Solution, meetings start and end instantly and crystal clear conferencing, document sharing, and BYOD keep things moving to create a seamless user experience and unprecedented enterprise cost savings. Samsung and HARMAN have pre-selected the optimal product combinations to empower perfect meetings, no matter the size or location of the huddle space. 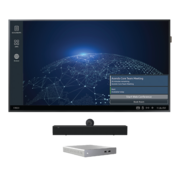 Starting with a basic solution that simply includes a display and conferencing camera to a full featured solution with a touch-enabled display that doesn’t require a room PC or visiting presentation device, we have just the right package to support your unique meeting space need. Download the essential guide for planning and designing small to medium meeting spaces. Download the white paper today! 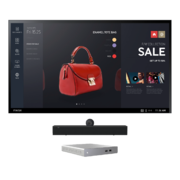 INTERESTED IN PURCHASING A SAMSUNG HARMAN HUDDLE SOLUTION?